Julia Dennis is a professional artist who has taught Fine Art and Design in the UK, Italy and Papua New Guinea in Further and Higher Education art institutions for more than 30 years. Throughout her career she has prepared student portfolios for all specialist fields in art, design and architecture with consistent great success. 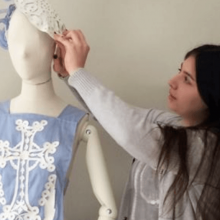 She offers BESPOKE art and design portfolio preparation courses and personal support in fine art, painting, sculpture, architecture, 3D design, fashion and textile design, fashion photography, graphic design, animation and illustration. In 2008, Julia founded London Art Portfolio in Wapping, London. Within a few years LAP transferred to a floor of studios in a historic listed building next to Tower Bridge, in the heart of London. 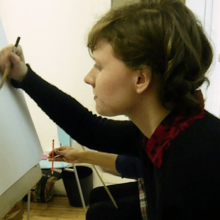 Due to an ever-increasing interest in the preparation of art, design and architecture portfolios from students in the UK, Europe and across the globe, London Art Portfolio has recently become a limited company. 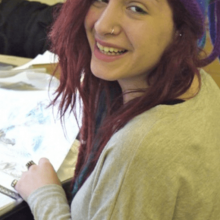 Many of our students return to study at London Art Portfolio throughout their studies and professional careers. During this time the LAP specialist team has grown. We now have many top designers in all specialist fields and professional practising fine artists who exhibit internationally who regularly tutor at the London Art Portfolio Studio’s. In addition, we are increasingly successful at advising and preparing students that have a dream to study in art, design or architecture who already hold an academic degree. Through either our 24 Week Portfolio Programme or intense blocks of one-one tuition, we can prepare you for direct entry onto a Masters Degree applications in a specialist field of art, fashion, graphics, photography, 3D design, architecture and car design. This requires absolute dedication and determination to succeed; to follow our programme closely and to fully attend. If you have this within you we can help you get there. We also run fun, focused portfolio development courses for students 18 and under. This is a great way to prepare early for your future goals and aspirations and be ahead of everyone else. Our summer course programmes are proving a great success! London Art Portfolio prepares students for different levels of art and design development through ongoing portfolio support and direction, dissertation research advice and presentation. 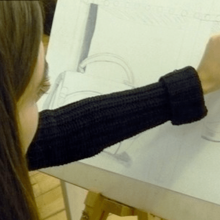 As well as preparing students for Foundation, Degree courses and career development, Julia with her team, also provide support for IB, AS and A2 Level students, aiming to improve their grades in Art based subjects. Equally, for those looking for guidance in arranging and selecting material for their professional interview portfolios. For committed students this can also lead to receiving a very supportive reference from London Art Portfolio for your Foundation, UCAS Undergraduate or Masters applications. We have a close working relationship with University of the Arts London, University of Creative Arts London, London College of Fashion, Goldsmiths, Brighton Art School, UCA Epsom, University of Edinburgh, Oxford Brookes, Ravensbourne and many more art and design education institutions! Students come to London Art Portfolio to prepare for international applications outside the UK – our successes include Parsons Paris School of Art & Design, ESMOD Berlin, Polimoda Florence Fashion School, Istituto Europeo di Design Milano-Torino-Roma, Istituto Marangoni Italy and London, Otis College of Art & Design Los Angeles, Dramatislea Hogskola Stockholm plus many more!